Situated in Northern Zululand, and adjoining the Mozambique border, Tembe Elephant Park is most widely known for having over 200 of the world’s largest Elephants, which are also the last remaining indigenous herd in KwaZulu-Natal and includes the legendary big “Tuskers.” (Tuskers are elephants whose enormous tusks weigh more than 45kgs)! Tembe is comprised of 30,000 hectares of land which was historically owned by the Tembe tribe – the ancestral custodians of the area. Nkosi (Chief) Mzimba Tembe donated the land for the formation of this Game Reserve, and it is still owned by the Tembe tribe community, while its precious bio-diversity is managed by Ezemvelo KZN Wildlife; the KwaZulu-Natal conservation service. Wildlife ACT’s main focus on Tembe is the monitoring of the Lion populations, as well as incidental monitoring of the rare Suni. There are two monitoring sessions per day. In addition to this, there will be two sessions of Elephant monitoring during a 2-week cycle (mostly likely one Elephant monitoring session per week). During these monitoring sessions, any incidental sightings of other priority species including Rhino, Leopard and Vultures will also be recorded. We are proud to partner with and carry out work for Ezemvelo KZN Wildlife – our provincial park authority on Tembe Elephant Park. 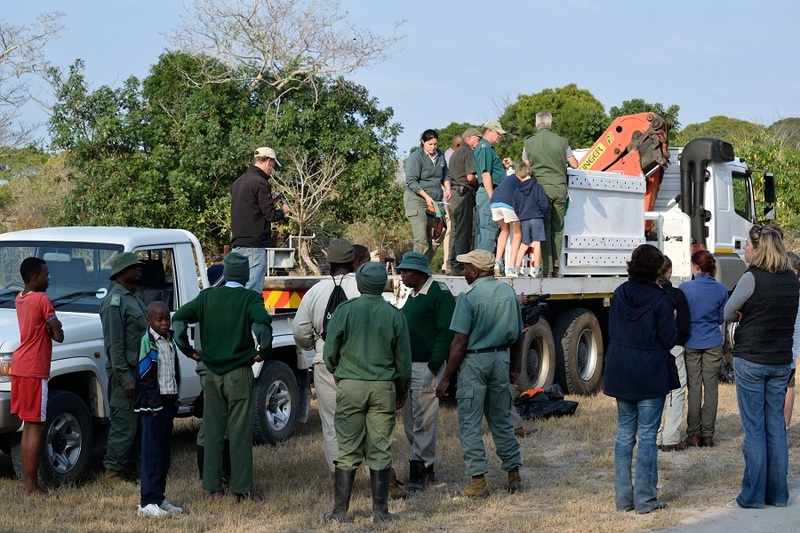 The Wildlife ACT team at Tembe also has the privilege of assisting with job creation and skills development through the national Environmental Monitors program that has recently been adopted in the Park. Government funding has been made available to train and employ a number of Environmental Monitors to provide support to Conservation Management in certain game reserves within South Africa. At Tembe, Wildlife ACT has been asked to help mentor and impart skills to these locally-based individuals, which means that they will be participating in monitoring sessions and interacting with our staff and volunteers at Tembe, as well as assisting with camp tasks as a means to expose them to a career in conservation, and to create medium and long-term employment and social benefits. These individuals will be able to impart local knowledge about the region and about Zulu culture and traditions. We encourage you to embrace the knowledge-sharing opportunity that this presents. Tembe volunteers are based in a research camp within the natural sand forest. The camp offers three wooden cabins nestled among the trees and thickets, with a separate toilet and shower block and laundry facilities for Wildlife ACT volunteers, as well as a communal kitchen, dining, lounge and braai area that is shared with other scientists and researchers carrying out studies in the park. View the gallery here. Tembe is a “Big 5” Reserve (Lion, Leopard, Black and White Rhino, Buffalo and Elephant), but there are no Cheetah or African Wild Dogs on the reserve. It is home to a rich diversity of other wildlife such as Hippo, Zebra and various antelope species, from the majestic Giraffe which stand at 5 meters tall, down to one of the smallest antelope in Africa – the Suni, at only 35 centimeters high! The area now known as Tembe Elephant Park is real wild country. The park is situated within the sand-veld ecological zone and consists mainly of closed woodland and secondary thicket formation. The zone falls within a transition area between tropical and sub-tropical forms and therefore is home to a great diversity of vegetation as well as over 340 bird species, making it a delight for bird lovers. In 2002 four lions (two male, two female) were reintroduced into the park. The two male lions were captured and relocated from Madikwe Game Reserve and the two female lionesses were relocated from Pilanesberg National Park. The males were unrelated to maximize the genetic diversity being introduced into the park and to prevent inbreeding. Kampa (one of the original females) still patrols the southern section of the reserve and is now nearly 17 years old. 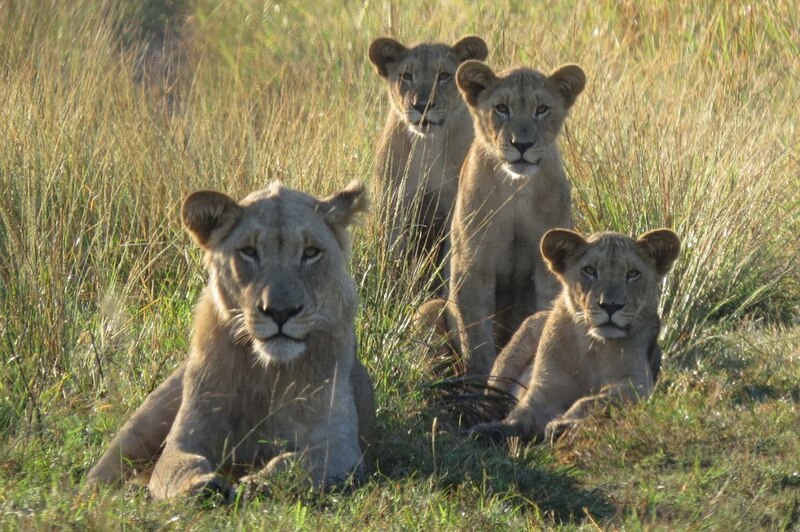 To date there are over 35 lions on the reserve, with a new set of genes soon to be brought in. What Makes Tembe Elephant Park So Special? 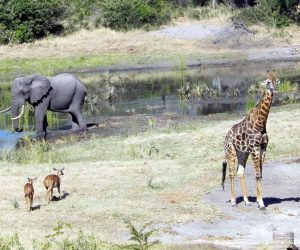 Tembe represents an area of high biodiversity and ecotourism potential. The wider area (Maputaland) is relatively undeveloped with little human influence. The minimal impact by commercial development has allowed the rich biodiversity and high levels of endemic flora and fauna species to thrive and remain, in many ways, untouched. These endemics include about 230 species of vascular plants, 1 mammal species, 23 reptile species, 5 bird species and vast insect life that at this stage has not yet been properly explored. 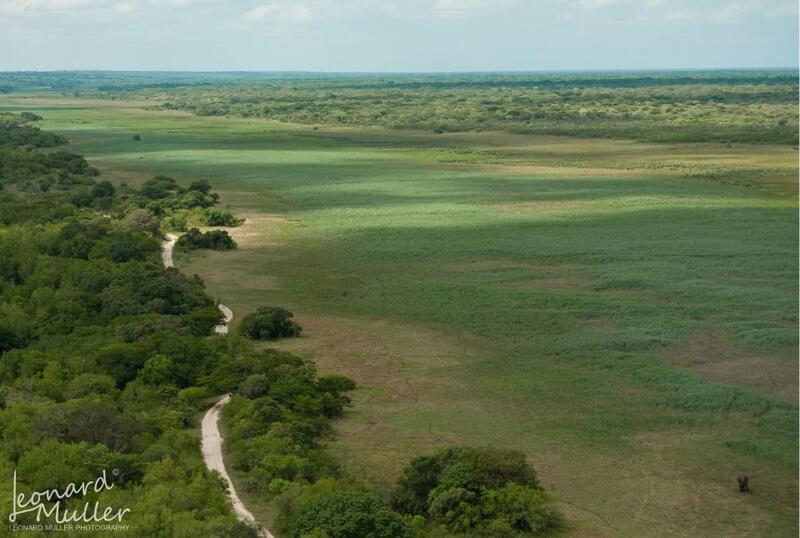 Tembe can therefore be referred to as a thriving endemic sanctuary! Built on ancient coastal sand dunes and falling within the core area of the Maputaland centre, Tembe Elephant National Park displays a spectacular variety of rare and endemic plant and animal species. Most of these being found in a unique forest type, locally referred to as a sand forest. These sand forests, found in patches scattered throughout Tembe are comprised of one of the most unique plant communities in the Maputaland centre. 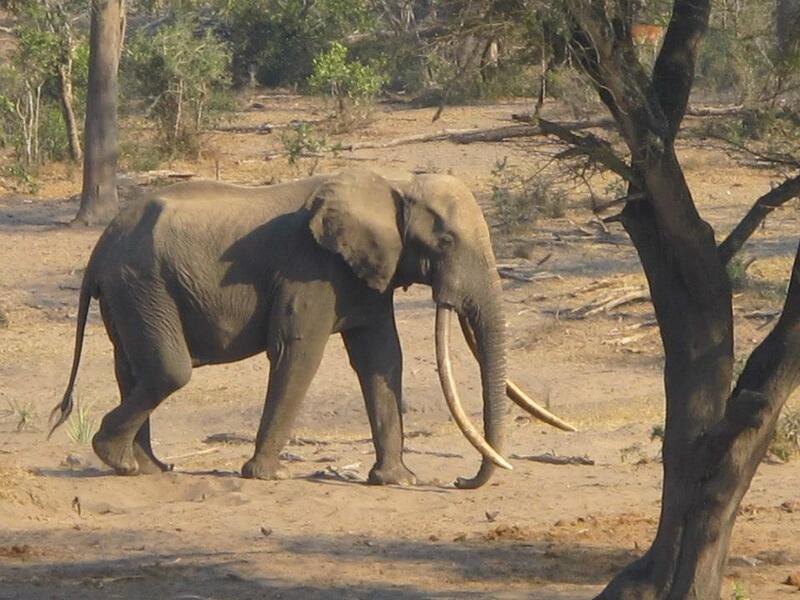 The Tembe Elephant National Park falls within the Tembe Tribal ward and was proclaimed in October 1983, after ‘the late’ Chief Msimba Tembe donated the land for the formation of the reserve. The reason for this was to try help conserve and protect the sand forest and its many unique flora and fauna species and to create a refuge or place of peace for the last naturally occurring population of African elephant (Loxodonta Africana) in KwaZulu-Natal. Originally only the southern, eastern and western boundaries were fenced with game-proof fencing. This allowed the elephants passage to and from Mozambique until 1989 when the elephants were more settled and the northern boundary between Mozambique and the reserve could be properly fenced. The park was only officially open to the public two years later in 1991 when the elephants were deemed safe to view. Today there are more than 220 elephants in the Park, with some of the biggest Tuskers in Southern Africa.